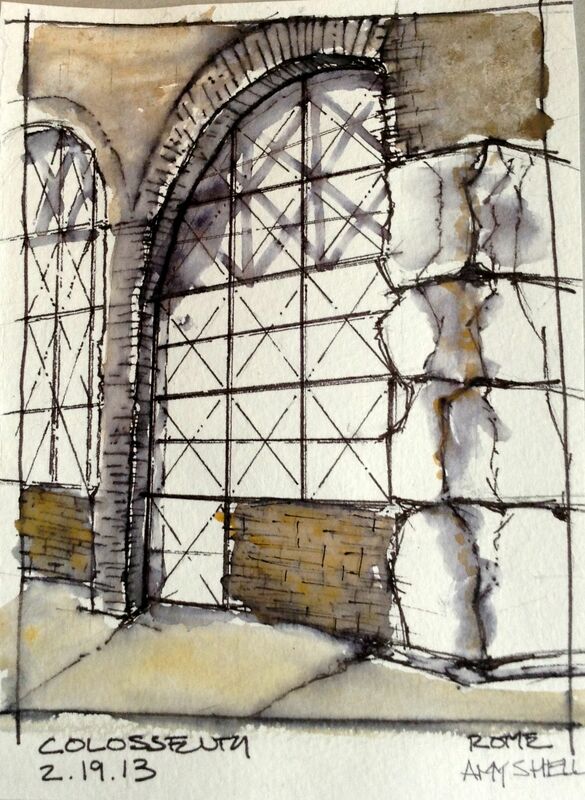 Watercolor sketch of the Colosseum by Amy Shell. During the first week of our program students were given a selection of ancient sites to visit and sketch including the Pantheon, Colosseum, and Palatine Hill. 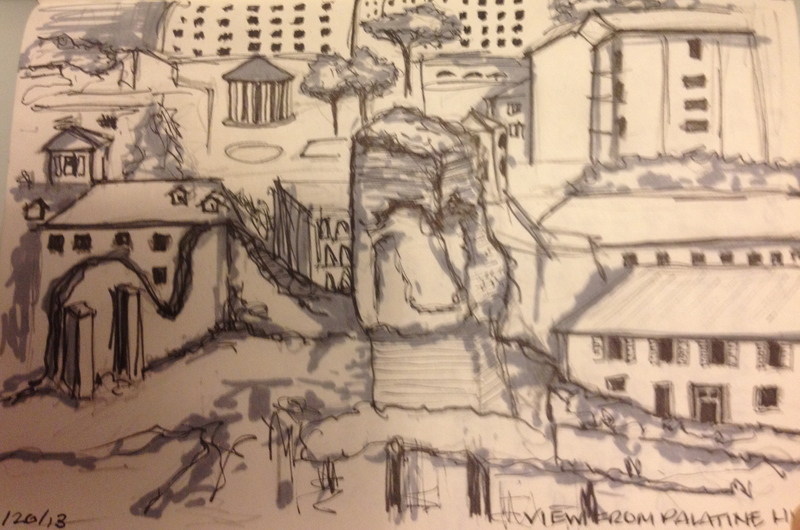 The Palatine Hill by Amber Conwell. 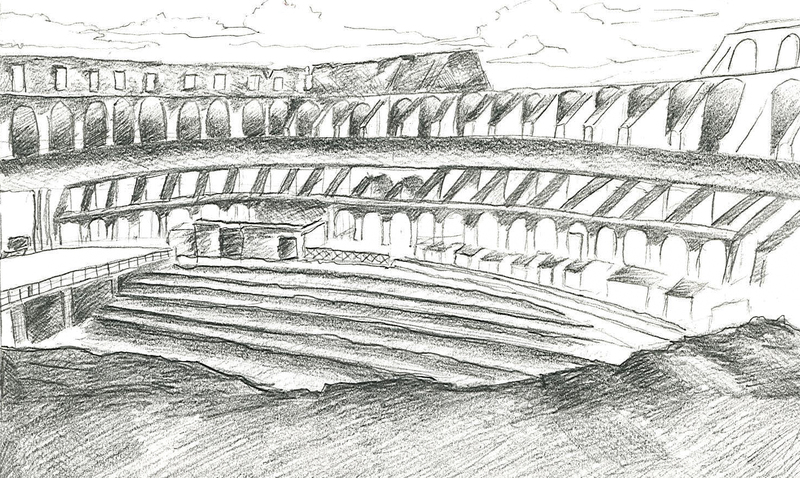 The Colosseum, by Cathleen Townsend. 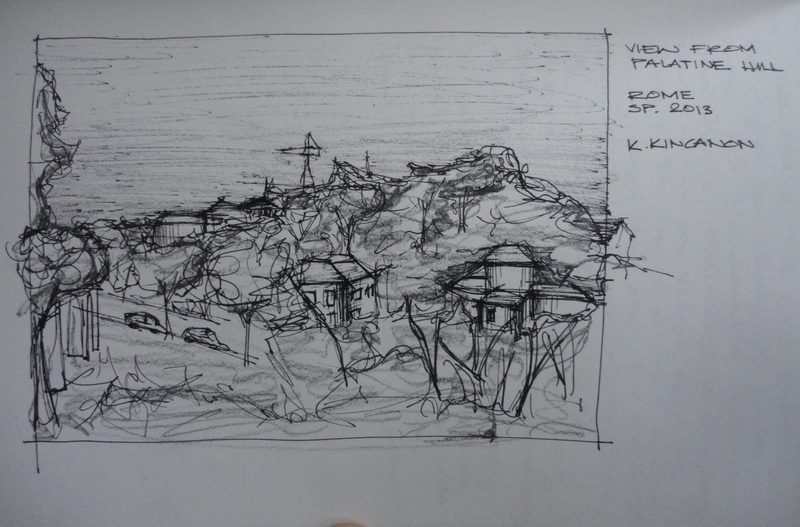 View from the Palatine Hill by Kymber Kincannon. 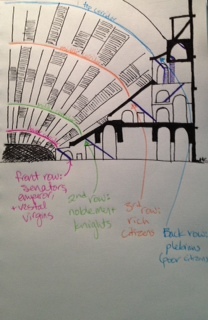 Diagram of the Colosseum by Annie Kientz. The Colosseum by Minh Tran. Wonderful work! 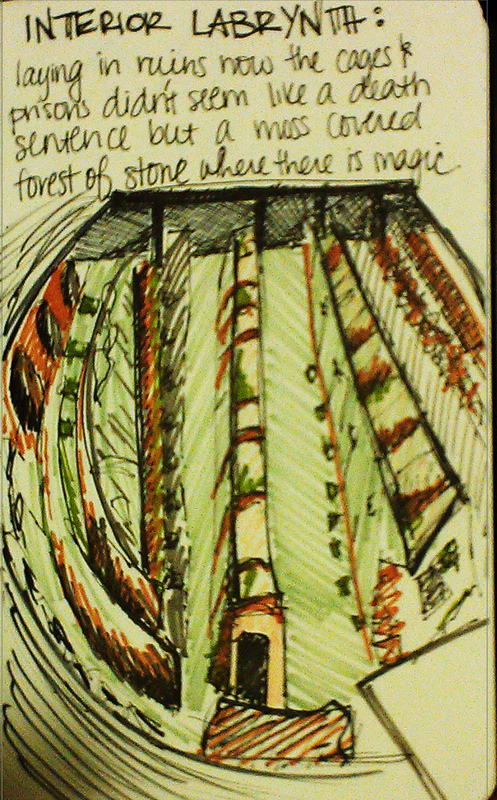 Amazing how seeing the world can open up the creativity of already creative young people.